By now, everyone has seen or heard of a low cost or free website creation tool. Wix, Weebly, WebsiteBuilder, WordPress and even the search giant Google (just to name a few) all offer free website services. But are these tools really any good? As a certified web developer trained in creating custom sites from scratch, my honest answer is… Yes! Free website tools offer the ability to create a basic website with no coding knowledge. These services offer an excellent service for a price that can’t be beat. Having a web presence is so essential to any startup business in today’s world, and many small businesses simply don’t have the capital to invest in a custom built website right off the bat. And for some, honestly, a custom site is not necessary. Take for example a small shop owner who is fairly tech savvy and simply wants to post the business hours, location, a brief “About Us” section, and a quick overview of their services. A free website is the perfect solution for such a case. It establishes a company online with all the essentials they will need, and a very easy learning curve with no knowledge of coding required. Sounds Great. Whats the Catch? My advice is this: use these tools if they make sense to you, but also understand their limitations. There is a good amount you can accomplish with these free tools, but there are some things they cannot do. E-commerce is notoriously troublesome on these platforms, and it becomes easy to be over-encumbered if you plan on selling more than just a few products. Also, SEO (Search Engine Optimization) is more challenging on a free website platform. If you have an idea of what you’d like your site to look like, you may have to settle. Most free website tools have a user limited to a certain template. 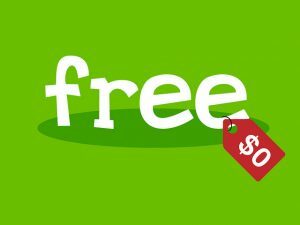 Is a Free Website Really Free..? Free website services often have some strings attached to their “free” services. option, expect there to be some branding of the service on your site (which can be removed for a monthly fee). Also expect some emails and phone calls marketing premium services. The speed of most free website services is reduced for free members, so you may experience a slower site. You may be restricted to a subdomain as well, meaning instead of mygreatcompany.com you may be stuck with a more legthy URL like mygreatcompany.freewebsiteprovider.com. Free website services are great for small businesses or startups with limited capital, but are not without their limitations. Imagine the difference between an off-the-rack rental suit or a suit custom tailored to you. If cash is tight, the rental will serve just fine, but it simply wont compare to the options, flexibility and perfect fit of a custom tailored suit. To see how much a professionally developed custom website will cost, check out our Cost Estimator.